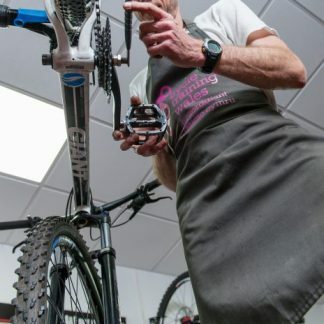 For a long time, hydraulic brakes were primarily a feature of mountain bikes. 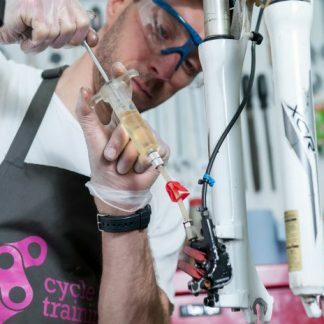 However, hydraulic brakes have become increasingly mainstream so that they now feature on many new road bikes. 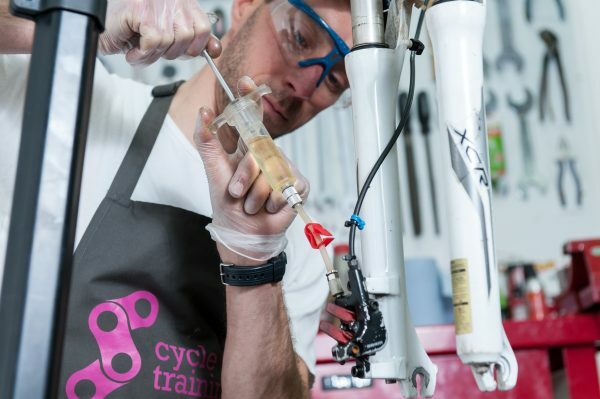 This course also covers the maintenance and set-up of suspension forks. 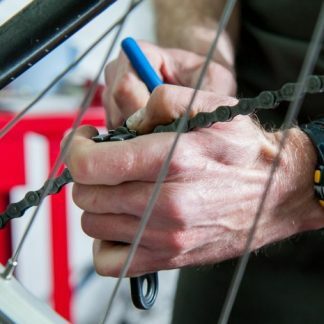 The hydraulic brake component includes examples of both Shimano and Avid brake bleeds, and the knowledge acquired may be easily extended to other proprietary systems. We will provide all the tools and parts for this course. 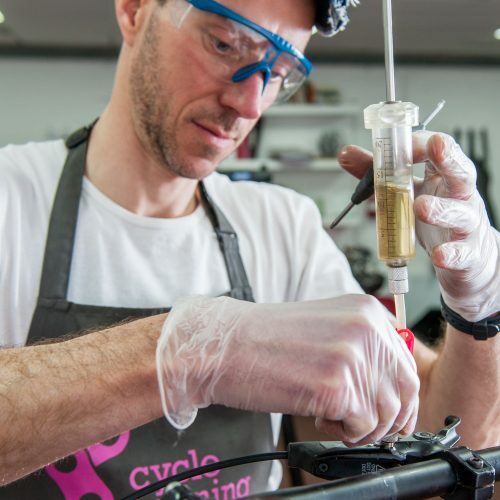 It is also a recommended add-on to our Velotech Gold courses. 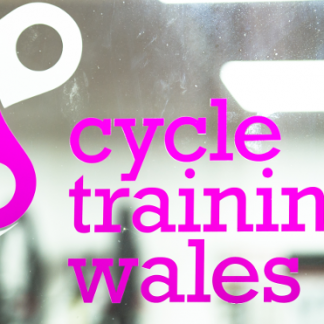 For more information, contact us on 029 20616783 or info@cycletrainingwales.org.uk .